Stir fry. I don’t really like stir fry. In fact, if there was ever a “Top 500 of Blainie’s Favourite Meals” done, it wouldn’t rank in it. In fact, probably wouldn’t ever make it in to a top 1000. Now, before all you stir fry connoisseur’s start leaving comments below, yes I know there are so many different types of stir fry and yes, I’m sure some of them are very delicious. But, look, it’s just not one of my favourite things, ok? So, why do I make it then? Well….it’s a cheap, healthy and easy meal. And sometimes I need a dose of all three. 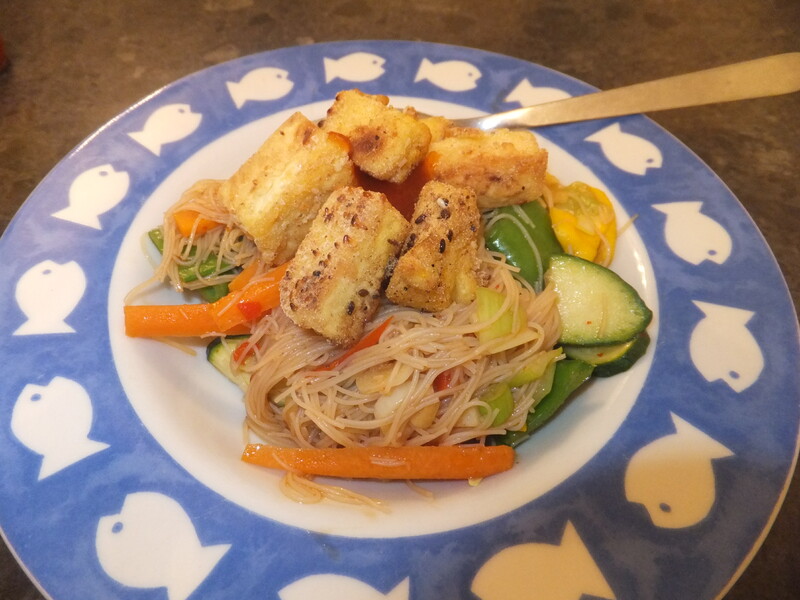 So, here is my vege and tofu stir fry. By the way, I love tofu, but that’s for another time.